Meshel explores everything from the meaning of friendship to the travails of online dating, from mammograms to mid-life crises. With candid humour, she reveals her horror of family holidays after becoming stranded in Bali and reflects on what it was like to meet his one and only Holiness, the Dalai Lama. This is Meshel at her funniest and most relatable. 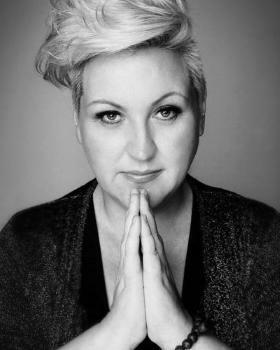 Meshel Laurie is a comedian and radio and television personality. She is a regular panellist on The Project, and has also appeared on Spicks and Specks, Good News Week and Rove. She is the author of The Fence-Painting Fortnight of Destiny, Buddhism for Break-ups and Buddhism for the Unbelievably Busy, and produces and hosts two of Australia's most downloaded podcasts, Australian True Crime and The Nitty Gritty Committee.